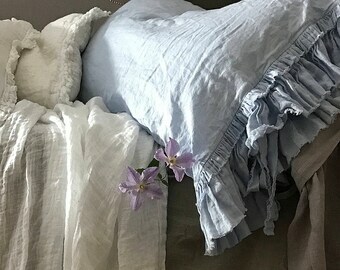 Linen pillowcase 'Sauvage' with double frayed ruffles and ties is combining of shabby chic and perfect quality of workmanship. 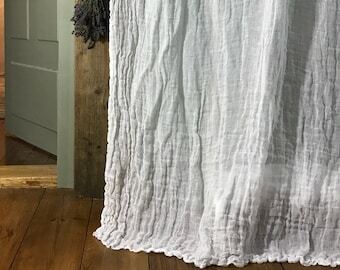 High quality linen fabric, very light weigh and add pre - washed with cute frayed ruffles make it fabulous for every shabby chic style bedroom. 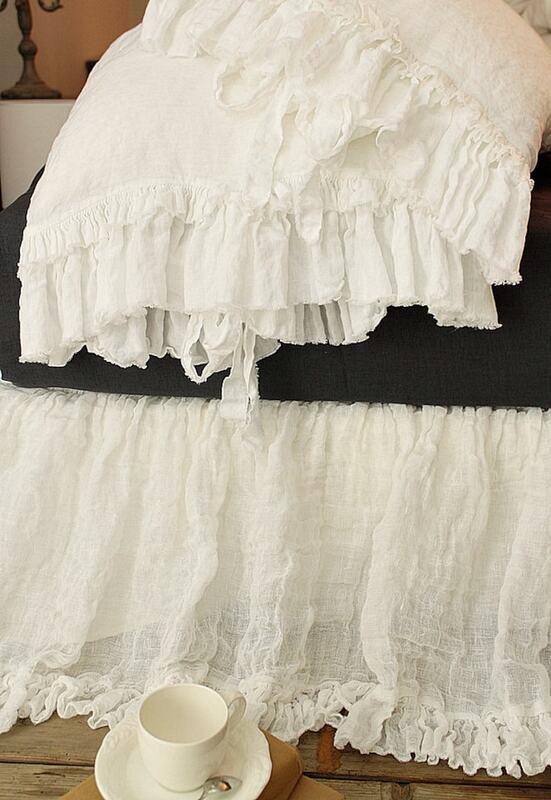 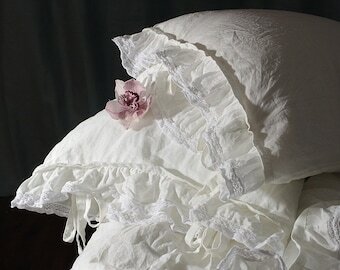 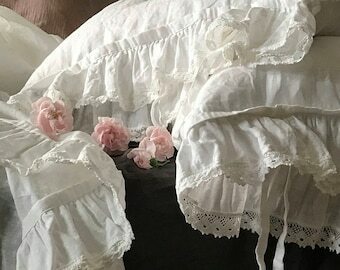 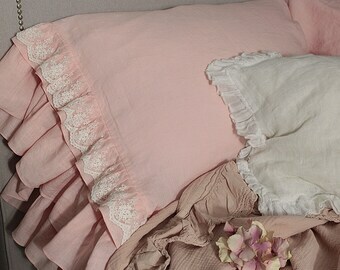 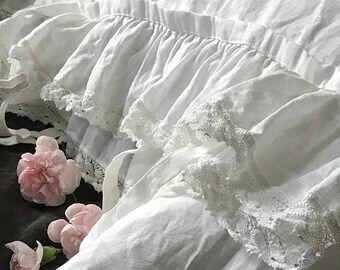 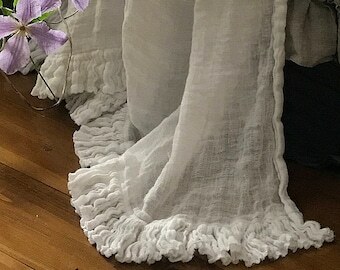 Description: pre-washed very light weigh and very soft 100% linen fabric; double frayed ruffles on the open side (double ruffles on the left and right open side of the pillowcase); one pair of decorative frayed fastening ties.